Who defines crazy, what is crazy who said crazy was a bad thing? I tell you what crazy is, crazy is something people don’t understand a different way of thinking, doing something or being different. In a world that loves trends they’ll call you crazy one minute then they’ll idolise and follow you the next, so I say don’t worry about anyone just do you. It’s ok if you’re a little different, a bit quirky, hyper, overly shy, weird, scared of flies whatever your issue because let’s face it, we all have something going on we’re either unaware or in denial. Either way I’m going to say what no one likes to say or talk about, it’s something we all shy away from for a variety of reasons. Mental health! Mental health, let’s talk about it. Ive had enough of skirting around issues not saying out right what I really want to say. Why is everyone so ashamed? I could easily ask myself that question and the same silence would endure. I originally wrote this post over two months ago but it’s been sitting in my drafts ever since, until today when I decided I can’t let fear cripple me into silence. A few weeks ago I casually dropped adhd into one of my post. I didn’t make a big deal of it I just did it and I instantly felt liberated. This is part of it, the big stigma. People are afraid and ashamed to talk out about their experiences making it a bigger thing than it is. We’ve been conditioned to associate the word mental health with bad things, instead of being a health condition which is just as important as physical health conditions. If I’m honest I personally think it’s more important. With out the mind what do you have? The physical can not operate without the mental. The mind is where all the power lies. So many people suffer with mental health conditions or have been affected by it at some point in their life, but still we shy away from the subject. Someone who is depressed can tell you that getting out of bed in the morning is more of a struggle than if they had a cold or sore foot. It’s not a joke imagine a mental block. Without the mind you have no action. To get out the bed in the morning you have to tell yourself to get up, you may not say it out loud but it happens, it’s a subconscious thing. Your mind has to tell your body to move. When you are depressed there can be a mental block, you literally can not function. I never quite understood it before until I really thought about it and became aware. I realised all those times when I was just in a place feeling some type of way not wanting to do anything, I was actually depressed to some extent. It happens to the best of us just the same way the best of us catch colds. If we didn’t treat these issues as such big deals they wouldn’t be. People would recognise them easily and do what they had to do easily. People catch colds all the time and talk about it sharing tips on how to get rid of it, this could be the case for things like depression as well. You might not necessarily take medicine for a cold, you might have a steam with some vapour rub and if you were depressed and recognised that you might go for a jog or play some music. If you don’t realise you’re depressed it will have you behaving out of character. Not answering calls, not going to work and if you don’t nip it in the bud before you know it your life will be a mess. When people use to say they were feeling depressed I use to think get over it and stop being silly, I understand now it’s not as simple as that. We shouldn’t take our mental health for granted or assume we are immune to such things. Mental health conditions can affect anyone at any point in there life. Not everyone will agree but I personally think with these things it’s not always about going to the doctors and getting a bunch of pills. I said it in my post earlier on adhd, it’s about becoming aware and then taking control. The beauty is we can control our minds it just takes conscious effort and a lot of practice. We’re trying to control our minds after all, the greatest organ in the body of course it’s not going to be easy. Educate yourself, that’s what I did. I had to figure out why I am the way I am, why I think the way I think or why I don’t stop thinking or why it’s so fast, why can’t I shut up, why my thoughts race, why can’t I remember anything short term unless I write it down or why does mess hurt my head or stress me out to the point I can’t function, why is there no middle mood just extreme highs and lows, If I could explain what goes on in mind you’d be surprised asking how I function or you’d simply understand why I am the way I am. I’m going to be honest because that’s the whole point with what I’m doing. Everyday normal life can be a battle without anyone even realising a battle is taking a place. There is so much I do daily just to function like everyone else, as to appear ‘normal’. It can be such an effort and some times quite annoying but it’s me, when you’re aware you learn ways of managing. I could explain all about adhd and how it can affect your life with or without you knowing or a whole load of other stuff but I won’t today. What matters is this present moment right now. What you do in each moment is all that ever matters really. I’ve come across plenty of people who have suffered or are suffering from a mental health condition both minor and major, my advice is that you should seek help or advice as soon as possible. Don’t leave things till they are out of control. When you are unaware of mental health issues they can ruin your life, a point will come when you will have no choice but to check yourself, to dig a bit deeper, to address issues you know you’ve been putting off. Speak to someone, write about it, do some research, anything then you can take action. Be it medication, cognitive therapy or self help. If you can take control, no one can tell you how you should deal with it, no one can tell you what is the right way or wrong way. I’d love it if all those suffering but managing there mental health condition spoke out, especially people in the public eye. Mental health wouldn’t be such a taboo. Don’t be ashamed, let’s break the cycle. Mental health does not have to be a taboo. You have been nominated for the Real Neat Blog Award!🙂 Please have a look at the questions on my blog. Good luck! I love this, thank you. We have to talk more about mental health, we cannot pretend that it does not exist, especially in the black community. I have been teaching yoga at a mental health institute for some time now and got to learn so much. 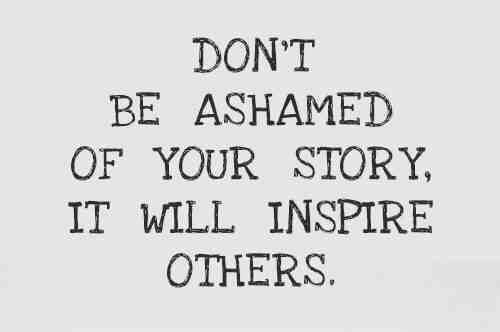 I have also battled depression in the past and know very well the judgmental attitudes of others who keep telling you that you have to get over it. Thank you. I think the more we talk about things like this the easier people will find it to ask for help when they need it. Thanks for your comment I really appreciate that.